It seems like we've been waiting an eternity for some real news about Square-Enix's 10,000th DS release of the year: Final Fantasy Tactics A2. 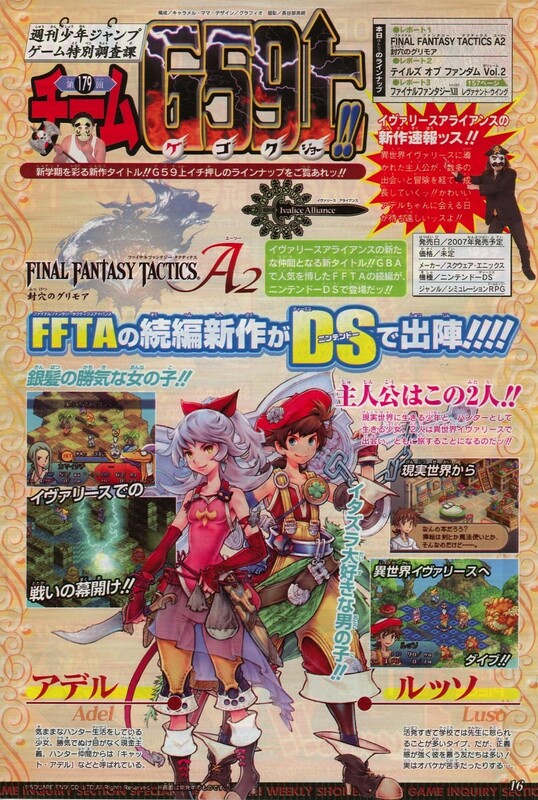 Sure, we could all guess it would be an extension of FF Tactics Advance, but that can only take a guy so far. "Adel is a young girl who lives her life as a hunter. She's known amongst fellow hunters as 'Cat Adel.' Luso is a school boy who happens to hate ghosts. He's the type of boy who always gets into trouble with the teacher. 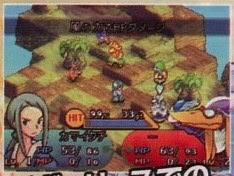 These characters meet when they enter the strange world of Ivalice." That's it, unfortunately. The screens look promising, at the very least. And maybe we'll learn more at Square-Enix's Final Fantasy-themed party set for May 12.